On 1st August 2012 Littletown J I & N School became a foundation school and simultaneously acquired a charitable trust, The Spenborough Co-operative Trust. We are proud of the success and achievements of our school. We continually strive to make it even better and believe that we have a greater capacity to do so by working more collaboratively with partners. The Trust enables the school to benefit from the skills of our partners to deliver enhanced learning in the classroom. By acquiring a mutual co-operative trust, supported by a range of partners and stakeholders who are united behind our vision, we hope to not only transform the life chances of every student that passes through our school, but to have a lasting positive impact on the wider community as well. We aim to provide the best education for all students in our area by working together to provide a personalised education for all, as well as promoting community cohesion. Trust schools are part of the local authority system, but supported by a charitable trust which appoints some of the Governors. The Governing Body continues to run the school and be responsible for its performance. It is not proposed to change staffing arrangements. Should you have any questions please do not hesitate to contact the school. In 2016 the Trust Schools got together and recorded the Trust song 'All Different, All Equal, All Unique'. The children had a wonderful experience spending the morning in a recording studio at Huddersfield University. Click on the song title to listen to the recording. Spen Valley choir visited Littletown in March, they have amazing voices and we thoroughly enjoyed listening to and singing with them. Click on the images below to view. Class 6 boys took part in a Trust football competition during that very wet week in May 2017, despite the mud and rain, they all had a great time. Come together with the Trust 'Fit 4 Force Junior Bootcamp' starting Saturday 14th October 2017! Click here for details. 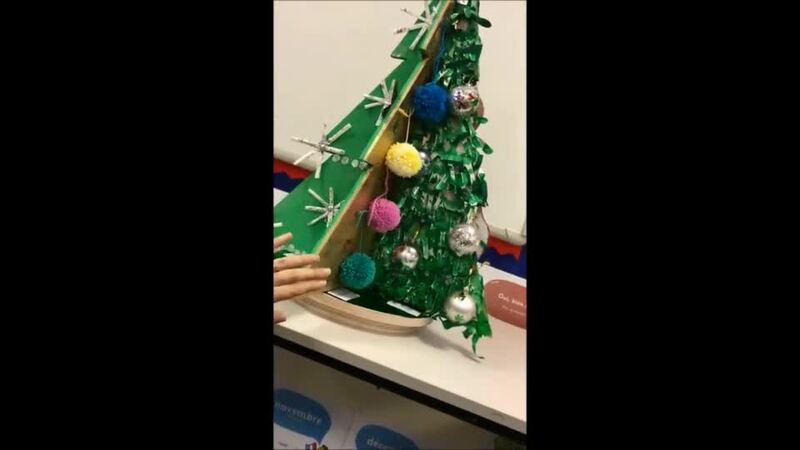 The Trust schools each designed a section of a Christmas tree and in December 2017 it was assembled together and put on display in Roberttown.